UPDATE (10/29/12): This giveaway is now closed. The winners chosen by random.org are Harmony Burmeister, The Grigg’s and Emily. Winners please contact me at kitchenconcoctions at gmail dot com to claim your prize! So remember the website (and delicious steak dinner Eric cook for me) I was raving about yesterday? 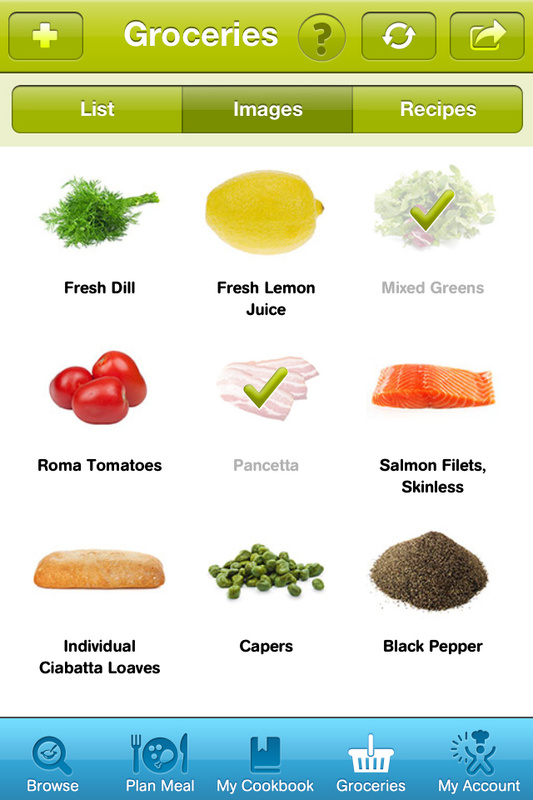 Cooking Planit, a new website and cooking app, is offering an iphone/ipad giveaway to three lucky Kitchen Concoctions readers. Timed meal plans tell when and how to do each step in the cooking process. Voice command feature, you know for when you are up to your elbows in chicken. Browse their chef recommended meals or custom build your own custom meal by searching for specific courses, dishes or ingredients. Photos of completed recipes, as well as ingredients and cooking utensils. New recipes and meal plans added regularly to their current selection of recipes. 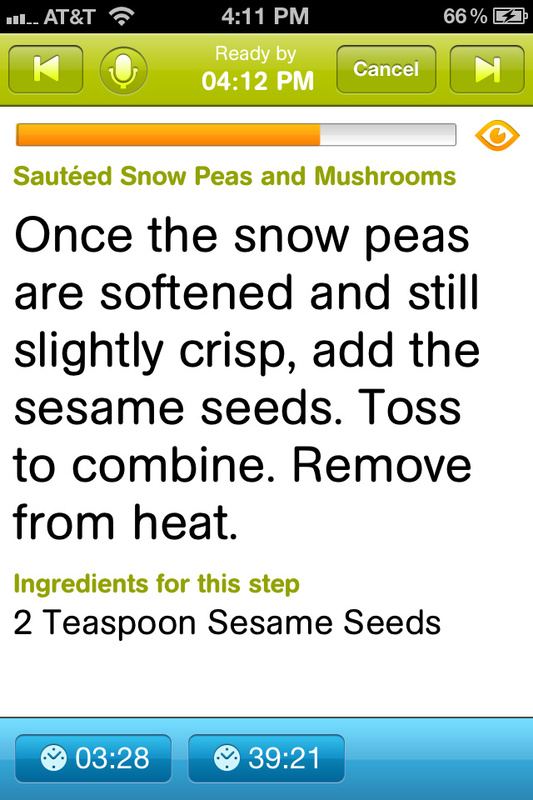 Ability to adjust the serving quantities of the recipes. 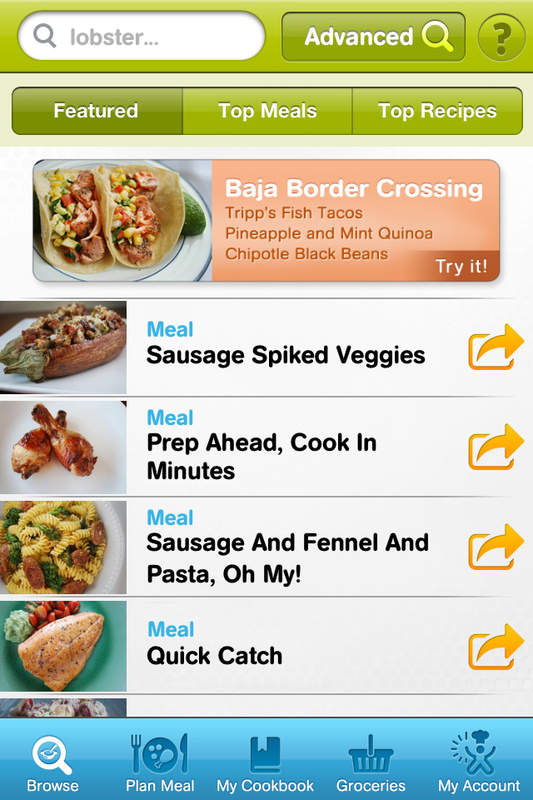 Create a grocery list that combines the ingredients of all recipes in your meal plan as well as add additional items. The grocery items are then categorized by grocery store aisle. Advance search features that allow you to filter out dietary restrictions, search by course, or special occasion. Synchronize your account with other family members. 1. Leave a comment stating what type of home cook you are. Are you a beginner, home cook rock star, professional cook? This give-away closes Sunday, October 28, 2012 at 11:59 PM CST. Three winners will be chosen at random (by random.org) and will be announced sometime shortly after the give-away ends. Winner must contact Kitchen Concoctions within 72 hours at kitchenconcoctions at gmail dot com to claim prize. If winner has not claimed prize within 72 hours then a new winner will be notified. Kitchen Concoctions is not responsible for undelivered or damaged prizes. I am a beginner cook. Keep it very simple. I've learned a lot about cooking over the years, but I am still a beginner in the kitchen. I'm not even a beginner. I don't cook at all.